Fay School’s Saturdays Farmer’s Markets are winding down – with this Saturday’s Halloween celebration as the last. So, it makes sense that they are kicking off the new season of “Saturdays at Fay” soon. The series offers free, fun programs designed for children aged 6 and under along with their parents. Events are open to the public, but pre-registration is required. 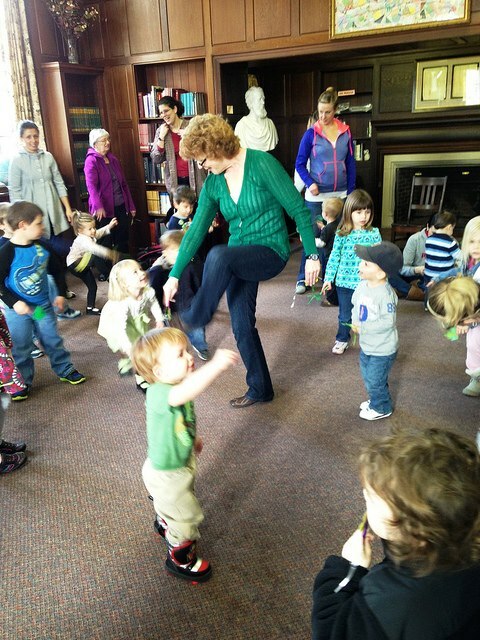 Join us for a fall-themed music and movement program with Deb Hudgins. 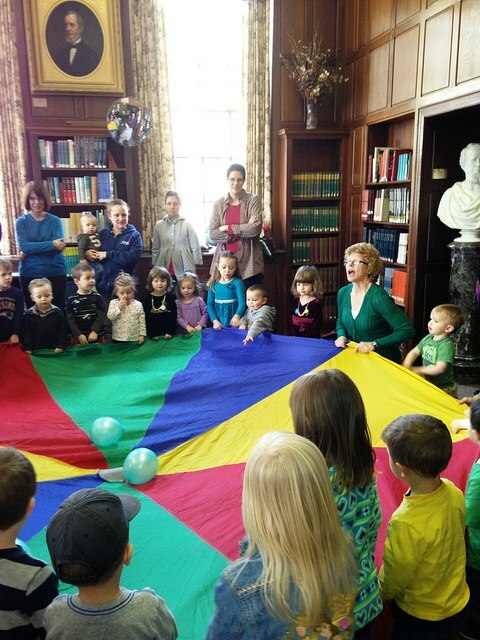 This interactive program will feature singing, guitar music, dancing, rhythm instruments, stories, and a variety of fun props, including a parachute, beanbags, scarves, pom-poms, lummy sticks, puppets and more. Registration is open, but space may be limited. To sign up, click here. The Saturdays at Fay series will skip December, then return monthly through April. It’s too soon to sign up for the other upcoming shows. But you may want to mark your calendars. Dino-Adventures features fossils, dinosaur skulls, velociraptor claws, and dinosaur skin that children can see and touch. Our presenters, the animal experts from Animal Adventures, will also provide live animals such as lizards, alligators, birds, and turtles in a program that is perfect for dinosaur enthusiasts! Join children’s musician, Matt Heaton, for a rocking concert with singalongs and lots of dancing. Matt’s songs are a mix of rockabilly, surf, American roots, and Irish traditional music, delivered with a wry sense of humor and a sincere sense of fun. Join Jungle Jim and learn what it takes to be a true superhero! During the program, the audience will be transformed into traditional superheroes, and it will conclude with a discussion about the heroes in our daily lives. Jungle Jim has been entertaining families and children in New England for over a decade and his performances are high-energy and a whole lot of fun! Mr. Magic has been performing magic shows for 35+ years and has developed a dynamic repertoire that amazes young and old alike. His show is highly visual, and children can participate throughout the performance. Children will also get to meet Mr. Magic’s animal assistants, Fluffy, Hocus, and Pocus.